Love for food, both elegant and comfort, has pervaded every facet of pop culture. Food culture now has magazines, celebrity chefs and several television channels. There are cookbooks for every type of cuisine, no matter how niche or regional. Food is no longer something you simply eat two or three times a day. It’s moved beyond the fancy dinner you treat your significant other too on a special occasion, and it is certainly much more than mom’s home cooking. America’s food awakening has lead to a full-blown epicurean revolution. This revolution has ushered in a new slate of celebrity chefs. Goodbye Julia Child, hello Gordon Ramsay. These chefs have become like rock stars; they have devoted followings. 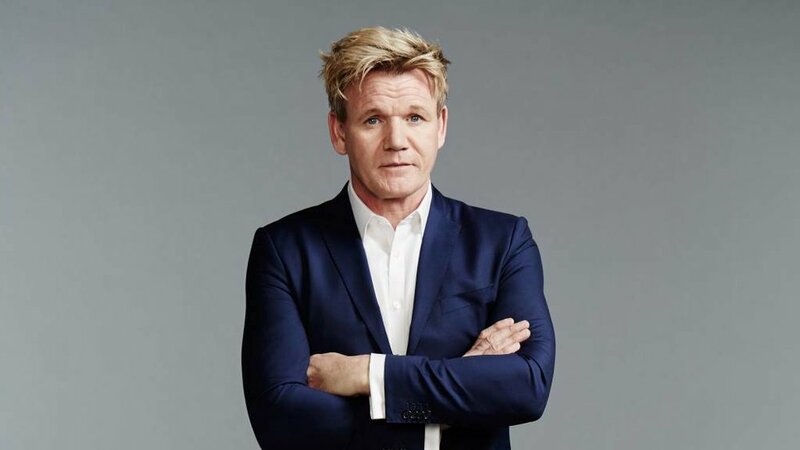 Ramsey has built a media empire off his personality and food. The rise of celebrity chefs has also directly fed into the boom of exceptional American restaurants. This very magazine has written about up and coming chefs and their restaurants. Now, this is not to ignore America’s rich culinary history. You can find iconic dishes all over this country that represent the local culture and flavors. New Orleans has Cajun and Texas has Tex-Mex. Nashville has Hot Chicken and California has BBQ chicken pizza. America’s status as a melting pot has always, and will always influence its food. So many cultures, each with their own culinary backgrounds mashed up together, are bound to produce something new and delicious. For a long time, America’s culinary contribution on the world stage has been that of fast food. While revolutionary, fast food has become the dominant image of America’s gift to the food world. For every French Laundry and Spago, there are a million McDonalds and KFCs. However, what this new food revolution has been about is restoring America’s place on the world's culinary stage. America now has a place at the table, alongside stalwarts like France and Japan. Those countries had centuries to refine and perfect their respective gastronomic delights. Comparatively, America’s three centuries and change is a drop in the bucket. For years, America has treated its meals as a means to an end. The food could be great or terrible, but if it is not based on a special event it is usually meaningless. Other countries treat meal times as a break from the stresses of the day. It’s a time to slow and down enjoy some good food, ideally with friends. So what do we do now? We are all "foodies" (as we say in our Instagram bios), we all know more about food than ever before. What’s next? I’m here to tell you. I propose that we, together, bring back the dinner party. Every other culture makes a big deal out of meals. They are chances to bring friends over for a get-together. They are times to laugh, love and indulge in good food and drink. Yes, America has Thanksgiving, but that’s only one day a year. Dinner parties as a staple of American culinary culture can be the way to fully enshrine our newfound respect for food. These dinner parties were a staple back in the 1950s and 60s, and I believe they are poised for a comeback. This is a chance for men to once and for all put to bed the notion that guys are not cooks. We can banish the stereotype that only women should be in the kitchen. Every man can cook now. There is limitless information available on the internet. There are recipes out there that can break every step down into the most minute details. There are no excuses left as to why you cannot host an extravagant dinner party. Make no mistake, when I say dinner party – that is what I mean. I am not talking about a BBQ or tailgate. I mean a multi-course event served over hours alongside wine and cocktails. Bringing together friends over a home-cooked meal is the ultimate goal. The average man should know enough and care enough to be able to host and cook. This newfound appreciation for food, this elevation of meals to one of the finer things in life, has presented men with a unique opportunity. Men are poised to ride this foodie revolution into a new era. If men take control of their food destiny and host these parties they will be prepared to conquer their social circles. Every man should be a renaissance man and the revitalization of these parties is a great way to start.